When many snowmobilers get to summer, they frequently put off those want to do projects on their sleds until just before the snow comes. Why not use summer to enhance your next season of snowmobiling before winter and be ready to hit the trails with a freshly updated sled? Since Yamaha is now all four-stroke sleds, there are some relatively easy projects that you can do now that will both make your sled more responsive and fun to ride. We’ve searched out a list of products available and came up with these ideas that could help you get more fun from your Yamaha four-stroker. Hauck Power Sports of Rice Lake, Wis. has spent more than two decades building a reputation with Yamaha owners as the place to go for serious Yamaha performance. But while the company enjoys a reputation for building strong performing drag sleds, the Hauck brothers also know how to get added performance for Yamaha four-stroke trail sleds that won’t bust your bank account. 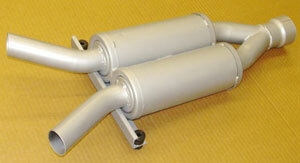 One project you could do is add a new silencer to your Yamaha Apex. Hauck Power Sports offers a special lighter weight exhaust silencer that is designed for the newer four-cylinder Apex models. The unit weighs five pounds less than the original and adds a horsepower boost with its freer flowing design. The set up can be installed quite easily by a backyard mechanic. The unit retails for US$500. While this piece was designed with Yamaha’s hot rod Nytro in mind, the K&N intake filter kit will help your Yamaha three-cylinder to breathe easier. 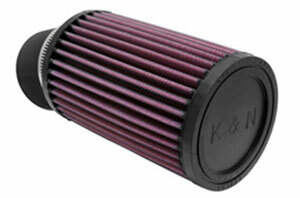 The FX Nytro Power Up Kit retails for US$250 and includes the K&N Filter, breathers and prechargers. You can combine this free breather with Hauck’s FX Nytro Husher Single Exhaust to get improved flow from intake through to the exhaust. The exhaust kit offers a weight savings and smoother exhaust flow and sells for US$300. If you want serious performance for deep powder running, then you might think about supercharging your Yamaha four-stroker. 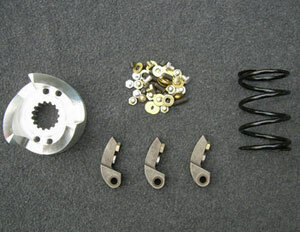 Mountain Performance of Draper, Utah offers three stages of attitude adjustment for the Yamaha Apex quad. The company’s Stage I kits are designed to provide a maximum of 11 pounds of boost using a 50/50 mix of premium pump gas (92+ octane) and 110+ octane race gas. The manufacturer notes that its supercharger kits can be run at 5-7lbs of boost, and they recommend 5 psi at sea level. It is estimated that each pound of boost adds an approximate 10 horsepower increase. The Apex kit specification is shipped as 240+HP at 10 pounds of boost. 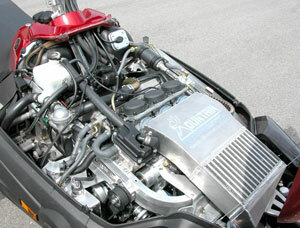 There are Stage 1 kits available for other Yamaha four-strokes with the Nytro listed at 220HP at 11PSI. The Phazer kit raises power to 140HP at 11pounds while a Vector Stage 1 boost is claimed to be well in excess of 200HP at just over 10 pounds. You can get more aggressive by opting for the company’s Stage II kits where the company says “…horsepower is limited only by the OEM motor durability and the OEM fuel system on EFI models.” Mountain Performance strongly suggests upgrading to 10:1 pistons and the use of 100 percent race fuel for any Stage 2 mod. According to the company, EFI models require a fuel system upgrade to run beyond 14PSI of boost. Therefore, Mountain Performance offers a Stage 2A kit, which does not require fuel system modifications, and Stage 2B kits that include an upgraded fuel management system including a new pump and a patented closed loop electronic fuel pressure control system. If that’s too tame for you, then go all out with a Mountain Performance Stage III Performance Kit, which is essentially the same as Stage II, but with the addition of an upgraded fuel management and a larger supercharger. The company strongly recommends upgraded pistons, studs and rods that can handle a projected power output of over 350HP. The supercharger kits have been engineered for easy installation and strong performance. The engineering team established four goals when designing its kits: • One — Ease of installation. That’s why the kits feature pre-assembled sub-systems. • Two — Dependable horsepower built around the reliable Yamaha four-stroke motors. • Three — Instant throttle response for maximum on-snow performance and rider enjoyment. • Four — Repeatable performance. Not everyone wants a 300-hp snow burner. There are those who enjoy performance from their more mildly tuned Yamaha Phazer four-stroker. That’s not to say that a bit more performance would be shunned. That’s why you’ll find Schmidt Bros Motorsports catering to Phazer riders who seek a bit more than their buddy. Michigan-based Schmidt Bros Motorsports offers special Phazer clutch kits designed to give you a variety of performance options. All of the performance clutch kits from Schmidt Bros Motorsports were designed to improve hole shot, midrange pull and top end speed on the 500cc Phazer. The company notes that throttle response, back shift, and mileage are also improved. According to Schmidt Bros Motorsports, a factory stock Phazer wants to over-rev to 12,000 rpm although its “sweet spot” for power is at 11,300 rpm. The Phazer Stage 1 kit retails for under US$100 and is what SBM calls its “tried and true performance clutch kit.” The kit is designed to keep the engine in its powerband for both improved performance and mileage. Moving up in performance to the Stage II kit gives a custom, multi-angled billet helix that will give the Phazer superior throttle response at higher speeds, much improved backshift, and built in the overdrive. This upgrade carries a suggested retails of US$259.99. Serious Phazer riders will seek out the Stage III kit that enables them to fine tune for events and conditions. This infinitely adjustable clutch kit includes adjustable weights, primary spring, custom billet helix, a secondary spring or rollers when needed, plus full instructions. It retails for US$429.99. But if a serious upgrade for your Phazer is not your thing, you can opt for what SBM calls its Phazer Comfort Clutch kit. This kit suits the rider who doesn’t like the Phazer’s higher engagement and prefers a smoother driveaway engagement. The Comfort Clutch kit will lower the engagement for smooth take-offs and maneuvering and will provide less track spin and aggressive backshift. SBM claims that this kit will provide improved mileage, increased power to the ground, and a more comfortable/controlled use of reverse. The kit retails for US$149.00.